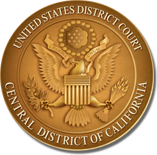 Below you will find links to the four chapters of the Local Rules for the Central District of California. Chapters I and II were last amended December 1, 2018; Chapter III was last amended December 1, 2016; and Chapter IV was last amended December 1, 2015. Revisions to the Local Rules are generally made twice a year, on June 1 and December 1. Public notice of upcoming rules changes is posted to the Court's website in advance of those dates. Details about the most recent changes to the rules, effective December 1, 2018, can be found at www.cacd.uscourts.gov/news/amended-local-rules-effective-december-1-2018.